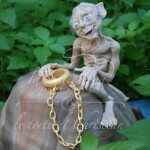 It wasn’t until I watched the movies recently that I really understood why people were so obsessed with the Lord of the Rings movies/books. 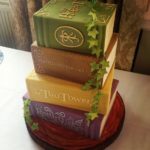 While I still haven’t read the books, I was blown away by the movies (despite their length bordering on the annoying). 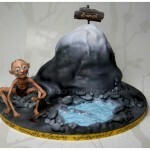 Having at least seen the movies, I now have an even better appreciation for the Lord of the Rings cakes that I come across. 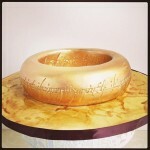 In the past, I posted an amazing Dark Tower cake with the Eye of Sauron and just recently I posted a One Ring cake but I think this Gandolf on a Hobbit Hole cake blows them both away. 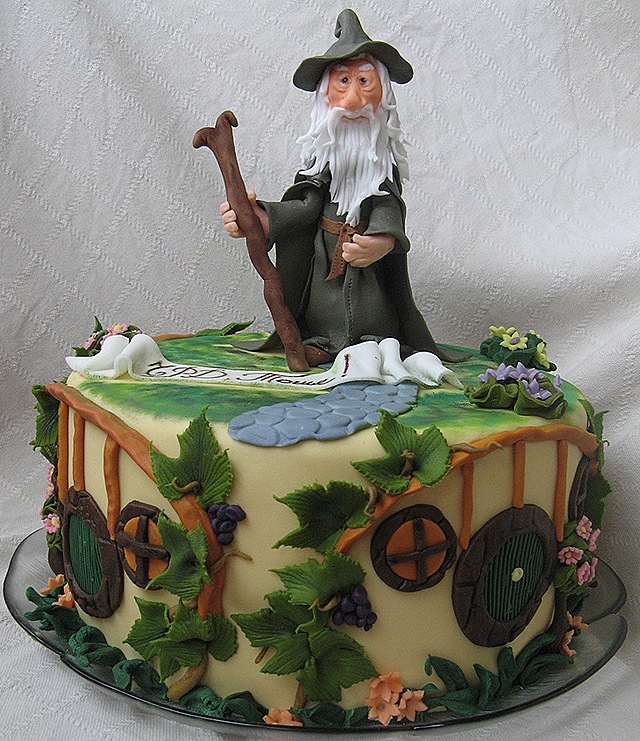 This beautiful and incredibly detailed cake featuring Gandalf standing on a Hobbit Hole was created by Silvia Nirolova for her son’s birthday. 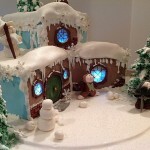 To say that she is a talented cake maker would be a huge understatement because not only is the detail on Gandalf very impressive, but just the attention given to the leaves has my jaw on the floor. She has a very lucky son!